In my September review of To Spin A Darker Stair, I anticipated that Phantazein would prove to be more of the same. Having now read it I can say: it is and it isn’t. 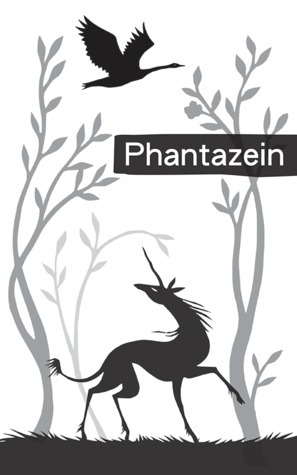 Although Phantazein opens with a fairytale retelling and closes with a mythological retelling, the majority of its stories are original stories that retain a strong fairytale flavour. The stories that make up the anthology had a nice mixture of cultures. While there were some stories that felt vaguely European, there were also some that drew on Asian, Arabic and South American influences. Not being from these cultures, I’m not in a position to judge whether these influences were handled with sensitivity. From an outsider’s perspective, they seemed respectfully done. The diversity made for a reasonably well-balanced anthology, with one exception: there were very few Australian-influenced elements. Cat Sparks’ story The Seventh Relic was the sole exception and a questionable one. Only those familiar with Buddhism in Australia are likely to identify the setting, which otherwise comes across as generically western. There was also a nice mixture of relationships featured in the stories. Being fairytale-inspired, there were various family relationships (mother and daughter, mother and son, father and daughter, siblings etc) as well as romantic relationships and straightforward friendships. I would like to have seen a few more non-heterosexual romantic relationships. The Seventh Relic proved the exception here once again, though, as with the Australian setting, it tended to be understated. Being the exception to both of my diversity-related criticisms, it is perhaps unsurprising that The Seventh Relic was also the only story that I felt didn’t quite fit the anthology. However, I feel this was less to do with the inclusion of those diverse elements than its tone, which came across as a little too biting in comparison to the more fairytale-esque stories. My notable mentions were difficult to pick but include Twelfth by Faith Mudge, The Ghost of Hephaestus by Charlotte Nash and How the Jungle Got its Spirit Guardian by Vida Cruz. Twelfth was a retelling of the Grimm fairytale The Twelve Dancing Princesses. It had wonderful heart and no easy resolution. We didn’t quite get off on the right foot, as I had some trouble with the perspective at first and felt the beginning could have used some tightening up. However, it drew me in as the characters came more to life. The Ghost of Hephaestus was an enchantingly romantic steampunk that tapped into Greek mythology and managed to hit all my buttons. How the Jungle Got its Spirit Guardian drew on Aztec influences and had some interesting commentary on gender roles sold by some strong characters. Overall, I found Phantazein to be very entertaining. Despite my criticisms, it had a nice mix of stories and I’d definitely recommend it to those who like fairytale-inspired fantasy.